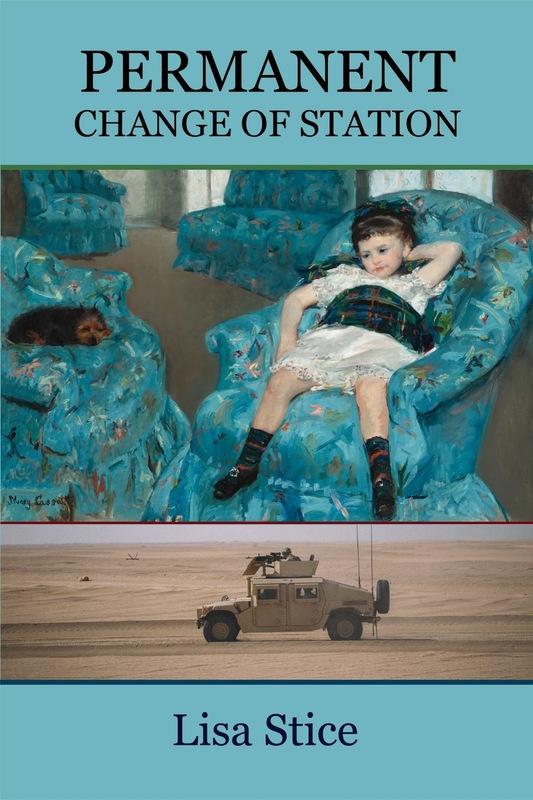 When military reporter Tom Philpott first encountered the tragic story of an Army family that lost its way during the wartime captivity of its patriarch, Floyd James "Jim" Thompson, he could hardly have predicted the journey would include more than a decade of reporting; publishing his work not as journalism, but as oral history; and soon to be an English-language opera to be performed Nov. 16-18 2018 on the campus of the Iowa National Guard's Camp Dodge, located in Johnston, Iowa. 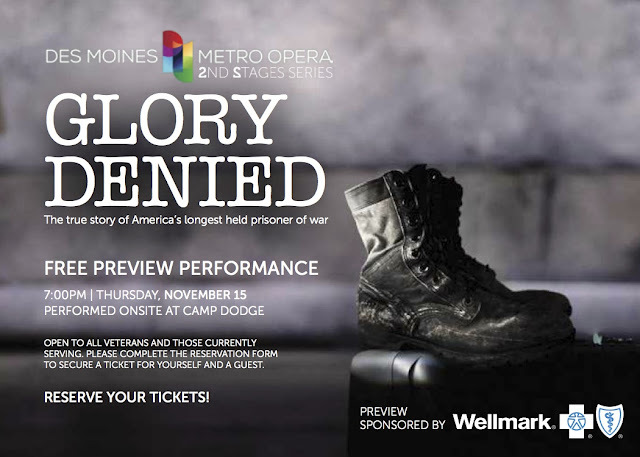 Tickets are $45, and may be purchased via the Des Moines Metro Opera at 515.961.6221 or www.desmoinesmetroopera.org. On Fri., Nov. 16, there will be a 5:30 p.m. reception featuring the opera's composer, Tom Cipullo. A FREE preview will be presented to veterans, currently service members, and their guests 7 p.m. Thurs., Nov. 15. Contact the Des Moines Metro Opera for registration. America’s longest held prisoner of war returns to a country he no longer recognizes and a family who barely recognizes him. 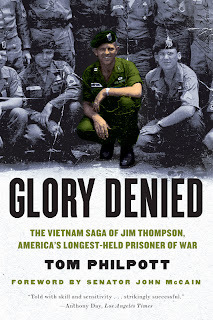 "Glory Denied" speaks to the plight of so many of our veterans who nobly fight for their country but face huge challenges when it comes to repatriation—and their longed-for civilian lives—after service. 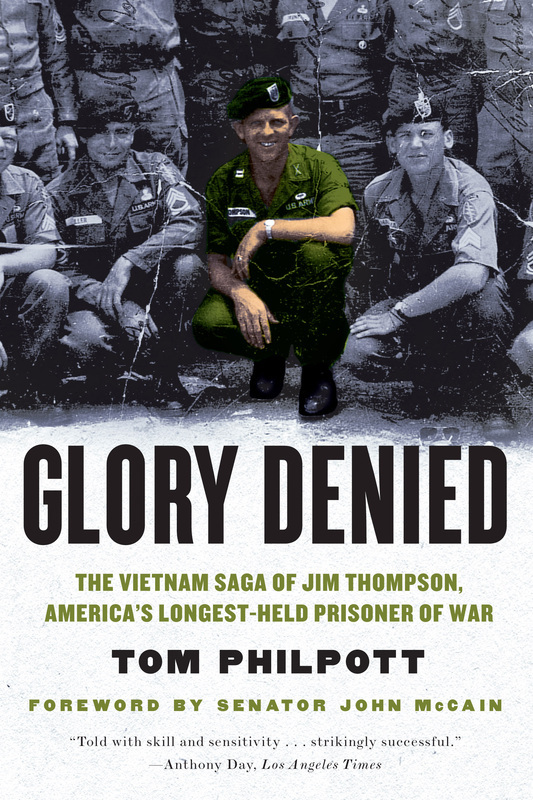 This true story of Vietnam veteran Colonel Jim Thompson explores the unimaginable bravery asked of soldiers and even the nature of hope itself. Following each performance, cast members and Iowa National Guard veterans and soldiers will participate in a curated talk-back session with audience members. This is Des Moines Metro Opera's second collaboration with the Iowa National Guard. In January 2017, a production of David T. Little's rock-infused "Soldier Songs" was also conducted at Camp Dodge. See the Red Bull Rising coverage here. The story behind "Glory Denied" was previously covered on the Red Bull Rising blog in a Jan. 11, 2013 post. "He dreamed in his mind of building this dream house when he got home. It turns out that his wife was living for eight or nine years with another man, who was posing as the father of the children," says Philpott, in the 2017 Red Bull Rising interview. "The boy, who was the only boy of four children, born the day after he was shot down, was called in at 9-years-old and told, 'This is not your dad. Here's a picture of your dad. He's coming home.'" While in development, portions of the 2006 work were presented by the New York City Opera at an annual festival. The Brooklyn College Opera Theater put it on. Then, the Chelsea Opera Company "got some really beautiful talent behind it," says Philpott. "That attracted review in the New York Times." The work was subsequently performed in May 2007 by the Brooklyn College Opera Theater. Presented in two acts, the 78-minute opera is written for two sopranos, a tenor, a baritone, and a small orchestra. The males respectively play the younger and older versions of Jim Thompson, while the females depict the younger and older incarnations of his wife, Alyce. Past reviewers note the opera's interwoven narratives, brute-force emotions, and a modernist angularity that isn't afraid to occasionally carry a tune. 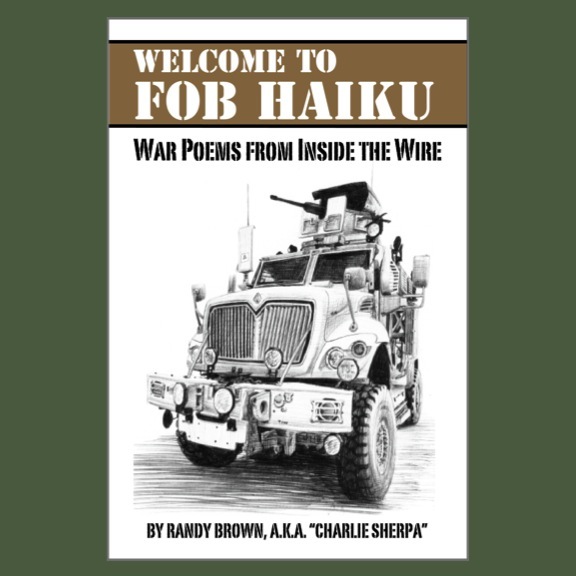 Randy Brown, author of the 2015 collection "Welcome to FOB Haiku: War Poems from Inside the Wire," was recently named a poetry finalist in the 2018 Col. Darron L. Wright awards. The award recognizes a new poem that unpacks the phrase "God willing," which is found in multiple languages. 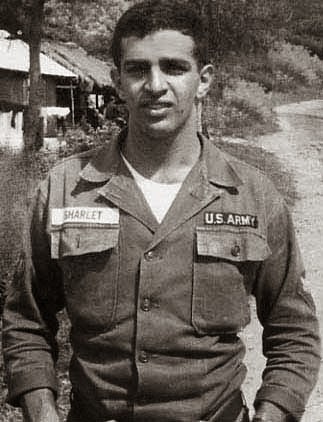 Brown's poem, "Inshallah Mañana," explores the connections of language, as heard with the ears of a citizen-soldier. The soldier first encounters the phrase for "God willing" in his first year of junior high school Spanish, and again in Afghanistan. The phrase is a common one, used in both religious and secular contexts. 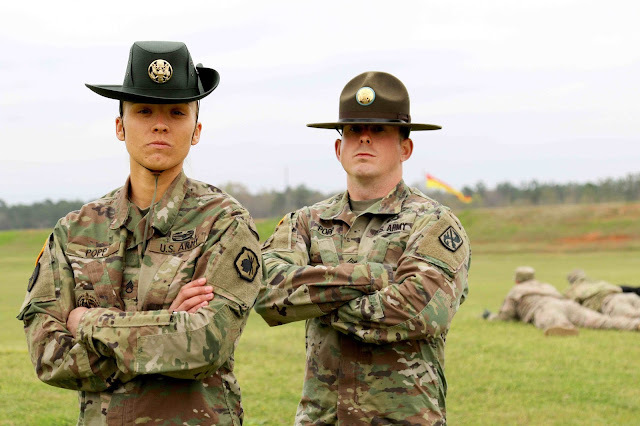 The poem also mentions a deployment anecdote from "Saber2th," a member of the Iowa Army National Guard's 1st Squadron, 113th Cavalry Regiment. You can read Brown's poem in its entirety here. The annual poetry and prose contest is limited to U.S. military veterans, and named in memory of Col. Darron L. Wright. In addition to other assignments, Wright served as battalion operations officer for 1st Battalion, 8th Infantry Regiment, 3rd Brigade, 4th Infantry Division, Fort Carson, Colo., with whom he deployed to Iraq from 2003 to 2004. Wright was next assigned as brigade executive officer with 4th Brigade, 4th Inf. Div., Fort Hood, Texas, with whom he deployed to Iraq from 2005 to 2006. He commanded the 1st Battalion, 509th Parachute Inf. Reg. at the Joint Readiness Training Center, Fort Polk, La. in 2007. 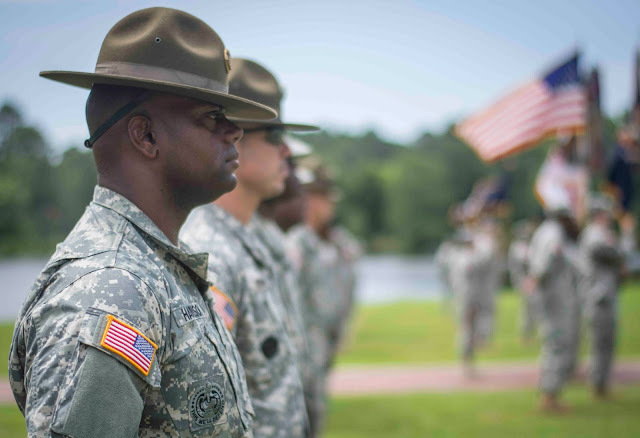 From 2009 to 2013, Wright was assigned as deputy brigade commander for the 4th Stryker Brigade, 2nd Inf. Div., with whom he deployed to Iraq from 2009 to 2010. 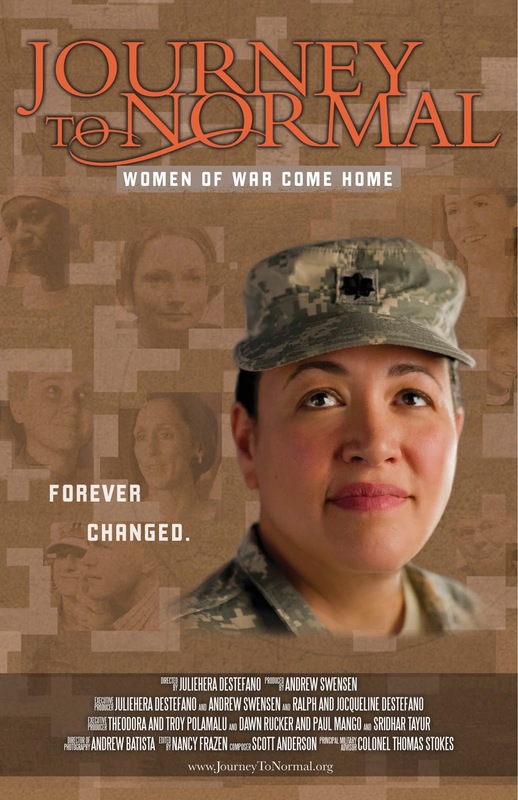 In its Iowa premiere, the 2017 documentary "Journey to Normal: Women of War Come Home" will be shown in an exclusive, one-time engagement on the Boone, Iowa campus of Des Moines Area Community College (DMACC) at 7 p.m., Thurs., March 22, 2018. A Q&A session with producer and director JulieHera DeStefano will follow the 93-minute film. Hundreds of women service members were interviewed for the film project, and plans call for their stories to be archived and made available to researchers via the non-profit Journey to Normal website, producers say. "Since 2001, over 280,000 women have deployed to Iraq and Afghanistan," the documentary says. "Journey to Normal shares 8 of their stories so that we might reflect on the individual experiences of all who serve." Ivonne Daly, a U.S. Army Reserve surgeon from Pittsburgh, Pa.
Judi Reeves, a U.S. Army Reserve surgical technician from Middletown, N.Y.
Devon Reyes, a U.S. Army Military Intelligence officer from Fort Knox, Ky.
Amy Sinkler, a U.S. Army truck driver from Chadbourn, N.C. 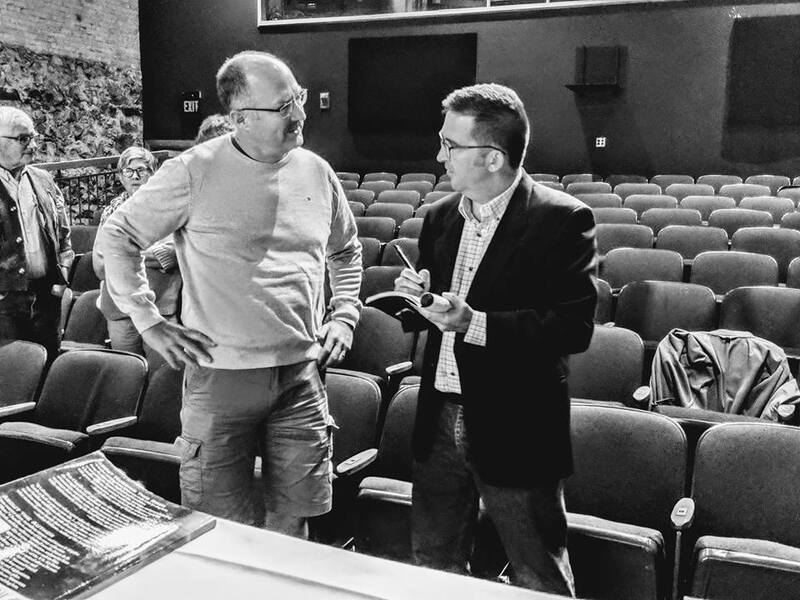 The event is the last installment in the inaugural "In Their Boots Film Festival," a three-month series of film presentations intended to foster conversations about military service, veterans issues, and social reintegration. The event is co-sponsored by the DMACC-Boone student group In My Boots 5k, and the Central Iowa non-profit Paws & Effect. The festival is made possible by a generous grant from Humanities Iowa. "Because we train service dogs for veterans, we recognize that 'coming home' from a wartime deployment can be a journey, not a destination," says Nicole Shumate, executive director of Paws & Effect. "Reintegrating into our society and with our families doesn't just happen overnight, and it doesn't happen without hard work and continued support. We are extremely proud to celebrate the lives and stories of the veterans depicted in 'Journey to Normal'—and all who have walked these paths." In 2010-2011, in what was described as the largest deployment of Iowa troops since World War II, the Iowa Army National Guard's 2nd Brigade Combat Team (B.C.T. 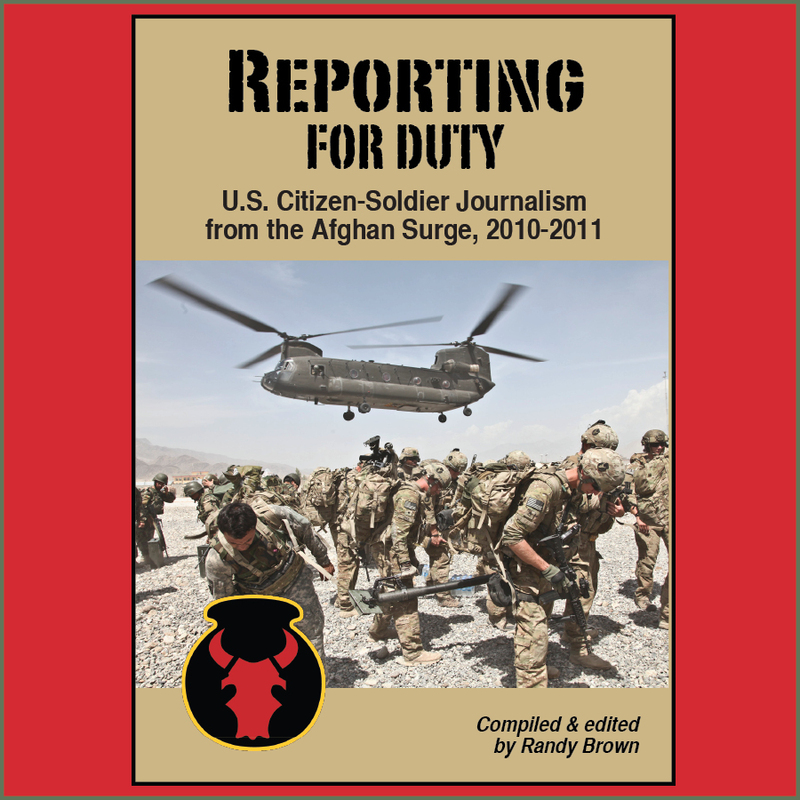 ), 34th Infantry "Red Bull" Division (2-34th BCT) sent more than 3,000 citizen-soldiers overseas as part of the "Afghan Surge." The 2-34th BCT is headquartered in Boone. 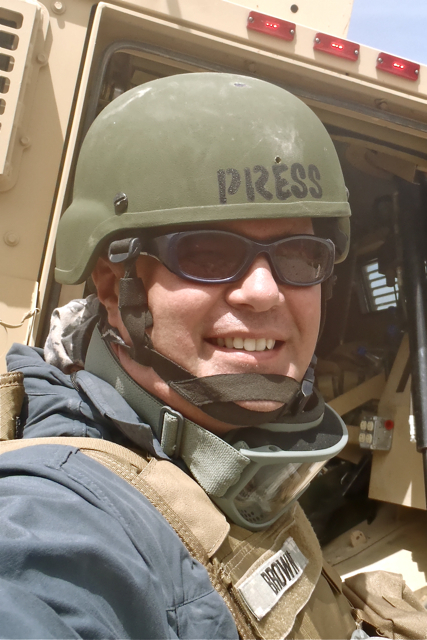 Randy Brown, a Central Iowa-based freelance writer and editor of "Reporting for Duty," a collection of U.S. Army public affairs reports from the Iowa brigade's deployment, says that "Journey to Normal" uniquely captures some of what it was like to deploy to Afghanistan—and what it is like to return to family, friends, school, and work following a wartime deployment. "All of these stories are important—individually and collectively," says Brown. "To most of us, this is a depiction of war far more 'real' and relevant than popular movies about snipers and drones." 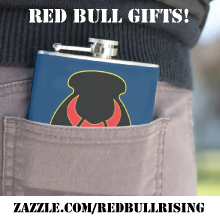 Interviews with at least three "Red Bull" soldiers are featured in the documentary. Each appears multiple times on-camera, in settings both downrange and "back home." Abby Brookbank was a combat medic assigned to 1st Battalion, 168th Infantry Regiment (1-168th Inf. ), and was based at Forward Operating Base ("FOB") Gardez. Jill Finken was an attorney assigned to the brigade headquarters, which was based at Bagram Airfield ("BAF") during the 2010-2011 deployment. Martha Kester, a chaplain with 334th Brigade Support Battalion, also makes a number of appearances throughout the film. For more information about "Journey to Normal," visit here. A Facebook page is here. To view an early (2011) trailer about the film, visit here. There will be a freewill donation pasta dinner fund-raiser preceding the movie, starting 6 p.m. in the DMACC-Boone food court area. Proceeds will go to support the "In Our Boots 5k" run, walk, and ruck fund-raiser event April 14, 2018. The 93-minute movie "Journey to Normal" will be shown in the adjacent auditorium starting 7 p.m.
A Facebook page for the "In My Boots 5k" student group is here. A website is here. A registration page for the April 14, 2018 5k run, walk, and ruck event is here. War Poetry Redux: The 'Blue Streak' Strikes Again! Editors at the literary journal "As You Were," published by the 501(c)3 non-profit organization Military Experience & the Arts, have published a special spring 2018 edition of the poetry journal "Blue Streak." The issue features 27 poems from 25 military veterans and family members, and can be read on-line FREE here at this link. The special project takes its name from a legacy poetry journal, which published its first and only edition in 2013. In 2014, most of the organization's fiction, non-fiction, and poetry journals were consolidated under the "As You Were" literary journal title. The latter is currently published on-line twice annually. "When 2017 poetry submissions exceeded our capacity to adequately honor and celebrate in the pages of As You Were the poets who had shared their words and works with us, we decided to bring back—at least temporarily—the Blue Streak nameplate out of cold storage," poetry editor Randy Brown writes in a short introduction to the issue. "We don’t know whether or when it will ever be back—our regular poetry features will continue with the next issue of As You Were—but we had a lot of fun putting it together." Two nationally recognized independent short films will be featured in a "In Their Boots Film Festival" presentation 6:30 p.m. to 8 p.m., Feb. 26, on the Boone, Iowa campus of Des Moines Area Community College (DMACC). A short Q&A session will follow, regarding the uses of the theatrical arts as a means of communicating experiences with the military. The event is co-sponsored by the DMACC-Boone student group In Their Boots 5k, and the Central Iowa non-profit Paws & Effect. "Paws & Effect has a long-standing commitment to finding new ways to bring civilians and veterans closer together in mutual understanding and empathy, and the theatrical arts are a visceral, personal way to bring our stories to life," says Nicole Shumate, executive director for Paws & Effect. 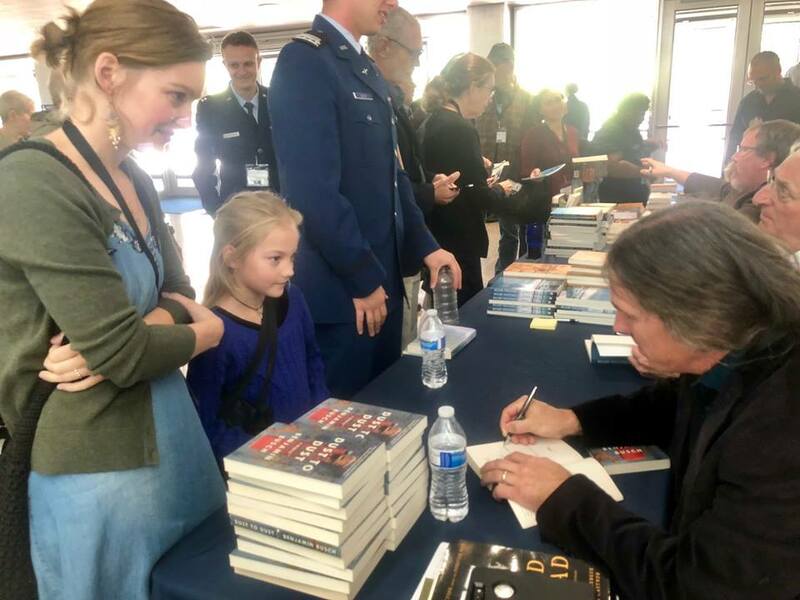 "We were proud to help bring The Telling Project to DMACC's Ankeny campus in 2012, and we're equally proud to partner with students at DMACC's Boone campus to put on this first-of-its-kind monthly civil-military film series." Founded by DMACC psychology and sociology professor Sean Taylor in 2014, the In My Boots 5k is a student-run walk, run, and ruck event that promotes awareness and raises funds for area veteran-related charities. This year's event is scheduled for Sat., April 14 in Boone. 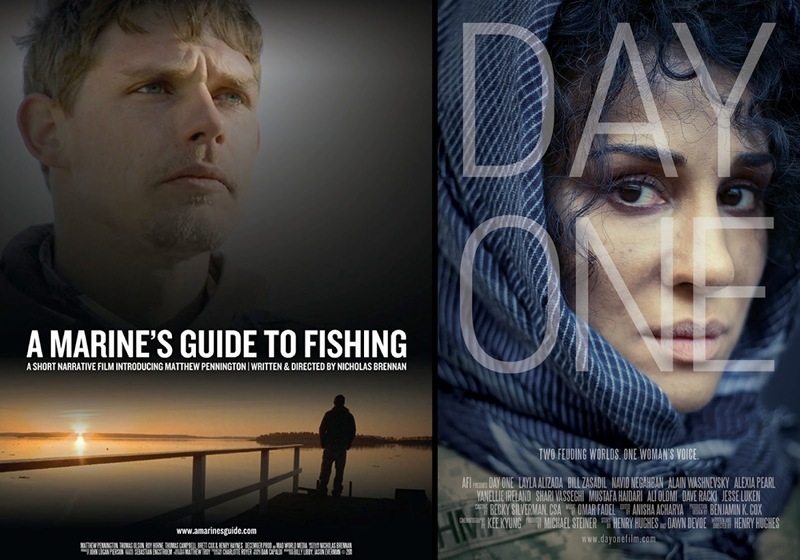 Based on a true story, and nominated for an Academy Award in the live-action short film category, the 25-minute "Day One" (2015) tells a day-in-the-life tale about a civilian language interpreter assigned to U.S. Army platoon in Afghanistan. In her first day on the job, the main character encounters multiple physical, religious, and cultural challenges. For more information about the production, click here. The 15-minute "A Marine's Guide to Fishing" (2011) tells a story of another first day on the job. On the first anniversary of getting blown up in Iraq, a U.S. Marine veteran returns to his civilian job repairing boat engines on the fishing docks of Southeastern Maine. Between peaceful scenery and open-arm welcomes, he confronts demons and his inner dialogue. The film was the result of a successful crowd-funding effort in 2010. Following the presentation of the two films, 2012 "Telling: Des Moines" cast member and poet Randy Brown will facilitate a short Q&A session regarding different ways film and stage performances can help bridge gaps in understanding among military veterans and others.